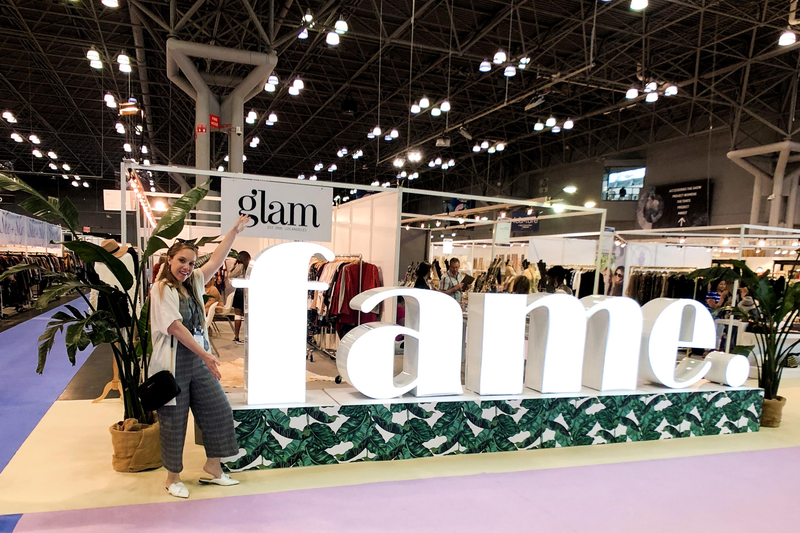 Earlier this week we took to New York City for a buying trip to see the latest in fashion accessories! 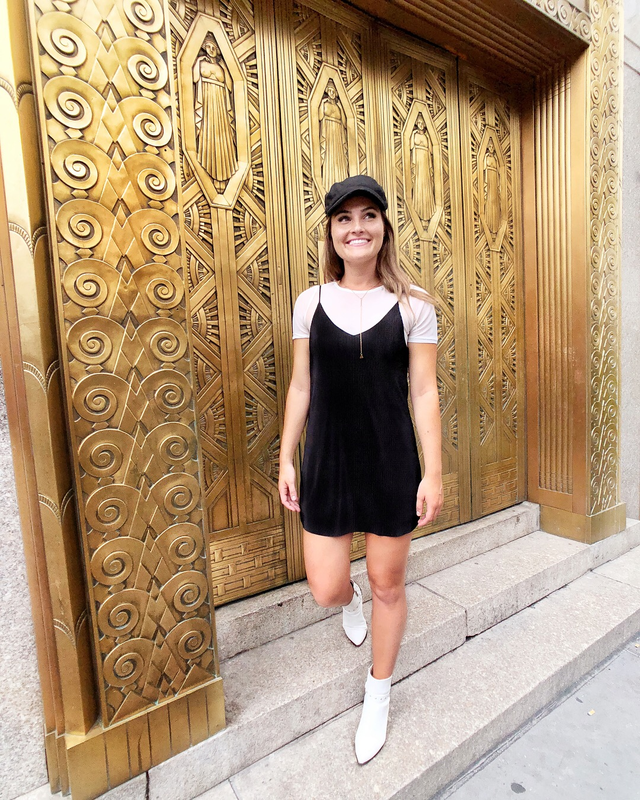 We also used our short time in the big apple to style some of our favorite wearable street chic looks! To us, street chic is all about having fun and not being afraid to play around with different patterns and textures. The 3 elements we focused on were: (1) Incorporating Color, (2) Styling with Pattern and (3) Playing up a Trend. Color blocking has been a favorite summertime staple with yellow being one of the standout colors of the season. Playing around with bright hues is one of our favorite ways to quickly add personality to a look. 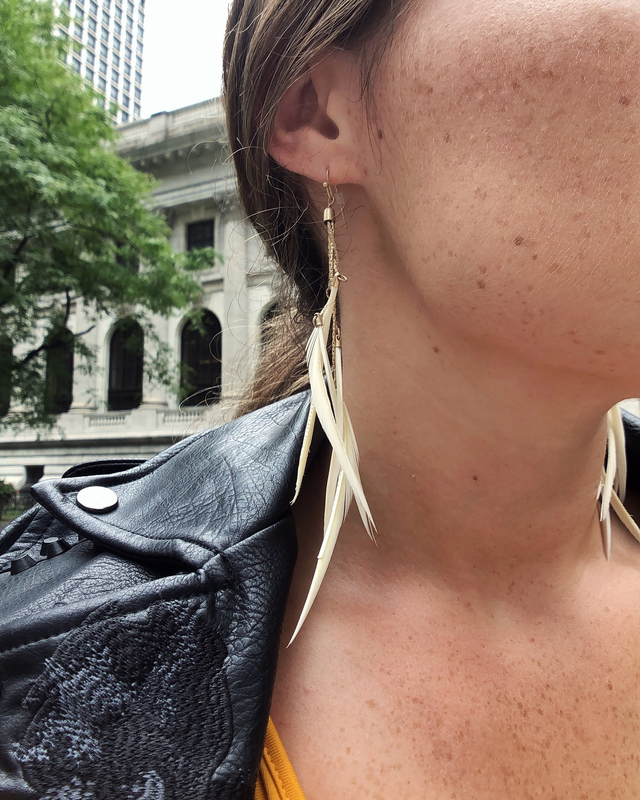 While touring around mid-town we wore our "Free Bird" Cream Feather Earrings to incorporate some soft playfulness to our embellished leather jacket and chunky black combat boots. 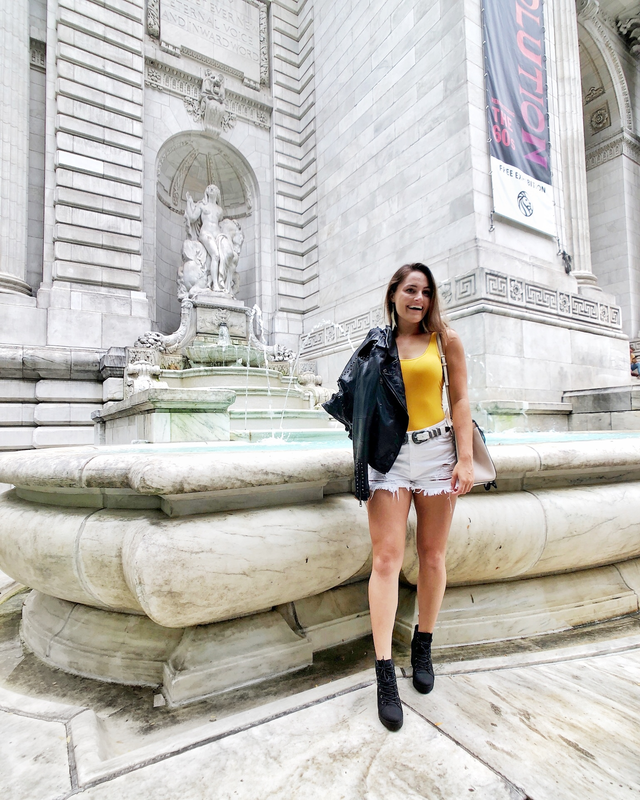 What made this outfit fun but still chic was that all of the detailing and textures from the earrings down to the boots were neutral allowing the yellow body suit to draw the attention. Plaids aren't just for Fall! We were looking for " sophisticated chic" and found that in this Glen Plaid belted Jump Suit. 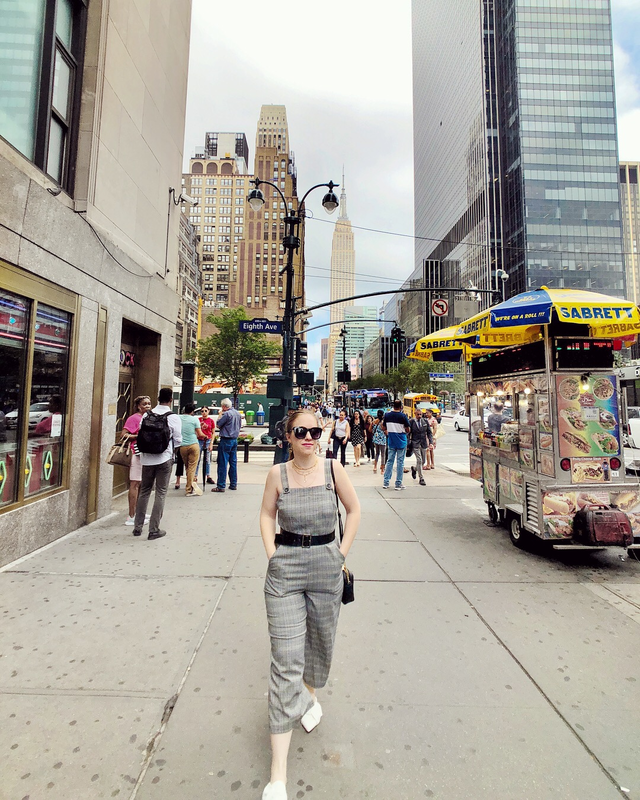 We incorporated our "Good Vibe Tribe" Multi-Layered Necklace and matching "Well Rounded" Hoop Earrings which gave this chic office look some edge. 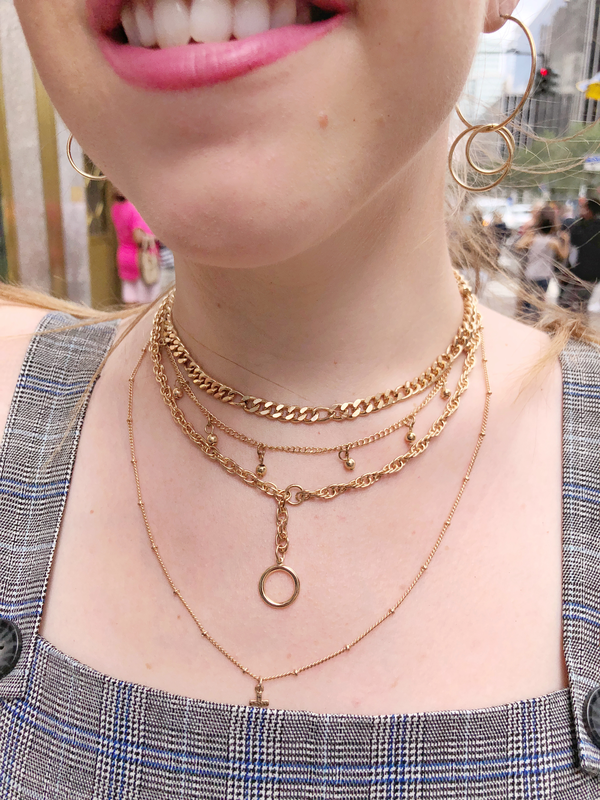 Our favorite part about this necklace is that all of the layers come together and attach at the clasp so you can avoid the tangled mess that comes with stacking multiple layers on top of one another. While we've always considered hoops to be a must-have jewelry staple, this year your basic hoop is getting an upgrade. Designers are playing around with not only the varying size of the hoops but we're seeing playful charms being attached transforming your classic hoop into a statement earring. What is black and white with style all over? You guessed it! This look has us feeling all sorts of 90's vibes with a touch of mid-century mod. 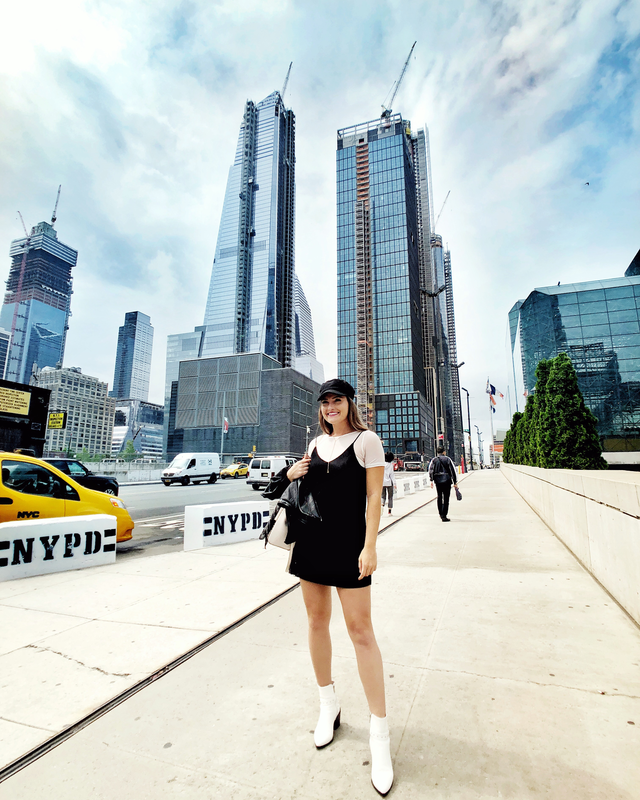 By keeping the colors and patterns simple the mix of textures between the cotton hat, mesh white top, ribbed black dress and white studded leather shoes balanced one another out. We wanted the jewelry to have simple linear elements to pair nicely with the vertical lines in the ribbed mini dress. 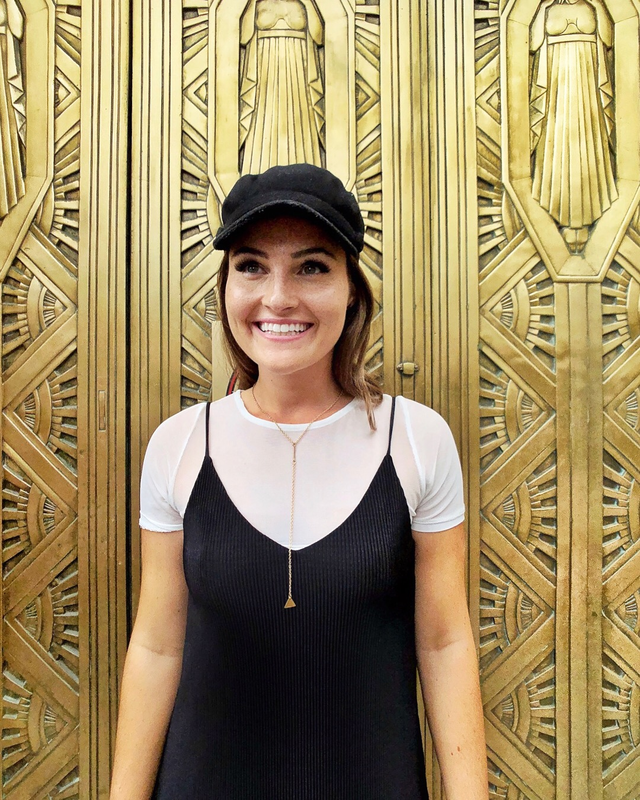 Our "Y" Necklace is one of our favorite necklaces to bring while traveling because it is so versatile, light weight, and is a simple piece that still has the amazing ability to bring together a look.